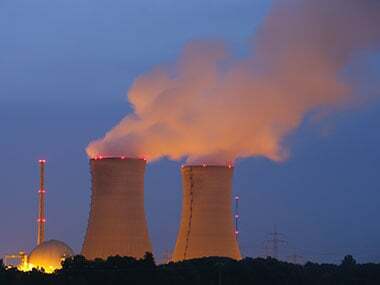 New Delhi: An agreement between the NPCIL and Westinghouse to build six atomic reactors in Andhra Pradesh will unlikely be signed during Prime Minister Narendra Modi's visit to the United States next week. A financial turmoil in Westinghouse and an absence of a functional reference atomic plant were the main impediments behind the Nuclear Power Corporation of India Limited's (NPCIL) unwillingness to sign the accord with the American nuclear giant, official sources said. According to a June 2015 joint statement by Modi and the then United States president Barack Obama, both the sides had resolved to work towards "finalising the contractual agreement by June 2017". However, a lot of water has flown under the bridge since then. Westinghouse, which was acquired by Japanese conglomerate Toshiba in 2007, filed for bankruptcy in March. Apprehending uncertainty, the Department of Atomic Energy (DAE) and the NPCIL are unwilling to go ahead with any agreement with the beleaguered company till it comes out of the financial mess. "It is unlikely that we will sign an agreement with Westinghouse when the prime minister visits the United States. However, we are making good use of time to hold discussions on the techno-commercial aspects," a senior government official said. An e-mail sent to Westinghouse seeking a response from it on the issue was not replied to. Modi is scheduled to visit the United States on 25-26 June, during which he is slated to meet President Donald Trump. The Indo-US nuclear cooperation agreement was signed in 2008, under which Westinghouse and GE Hitachi were to construct six power reactors each in Andhra Pradesh and Gujarat. Initially, Westinghouse was allocated the Mithi Virdi site in Gujarat, but was later given the Kovvada site in Srikakulam district of Andhra Pradesh. The company was to build six AP-1000 atomic reactors with a capacity of 1,208 MW each at Kovvada. With a total capacity of 7,248 MW, the government had a plan to make it one of the largest nuclear parks in South Asia. The official also said any foreign company needed to demonstrate a functional nuclear plant using the same technology. This is a pre-requisite to obtain permission from the Atomic Energy Regulatory Board (AERB), the nuclear watchdog in the country. Westinghouse's AP-1000 technology plants are at various stages of construction in different countries and are yet to start commercial operations.